Handmade in El Salvador! 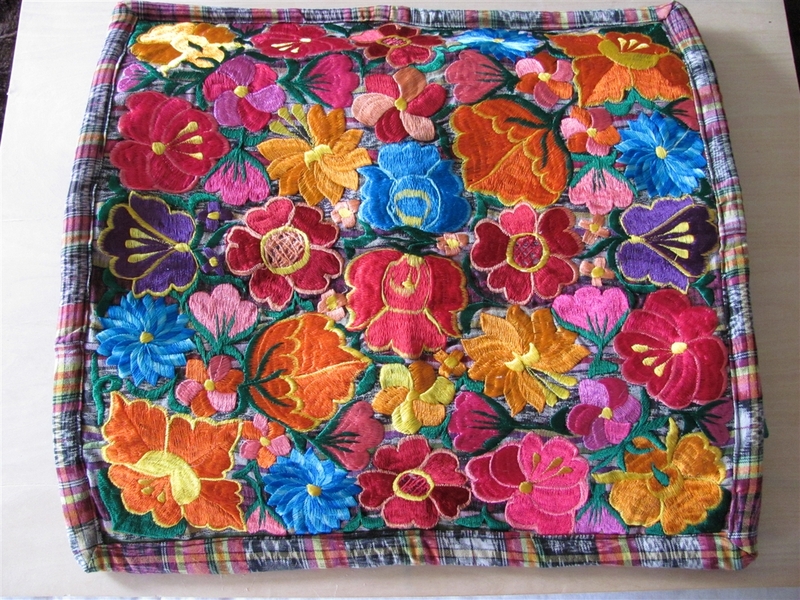 This exquisitely embroidered pillow sham is 18" x 18" with a zipper closer on the back. 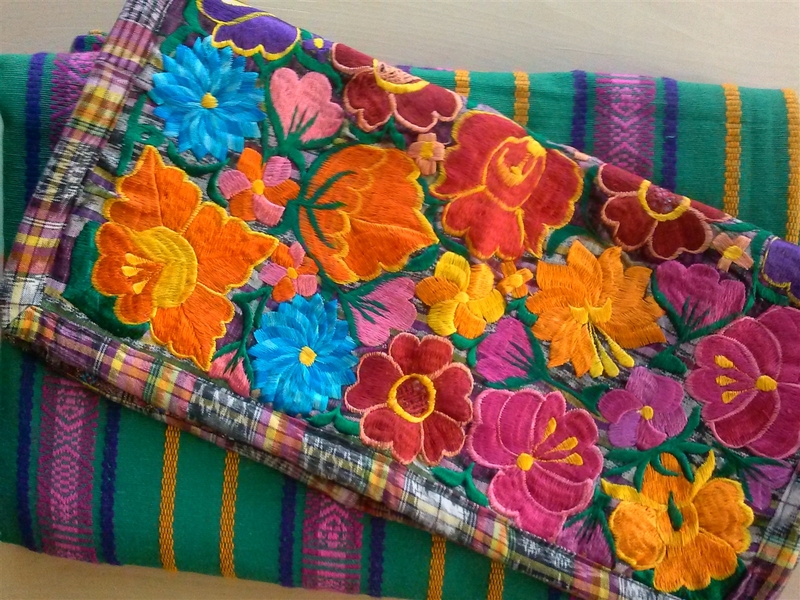 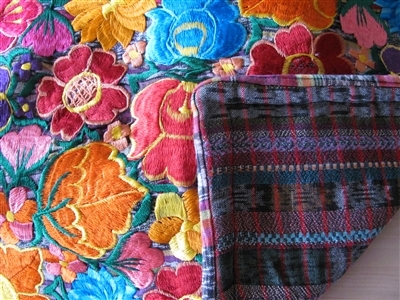 The fabric on the back is a loomed cotton in a traditional Central American style. 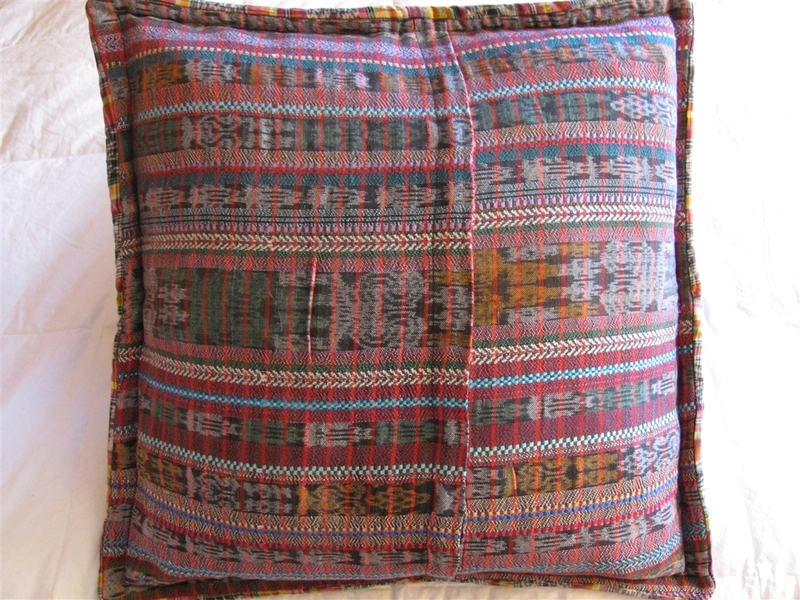 Paired with the El Salvadoran Loomed Green Coverlet makes a vibrant statement to home decor!